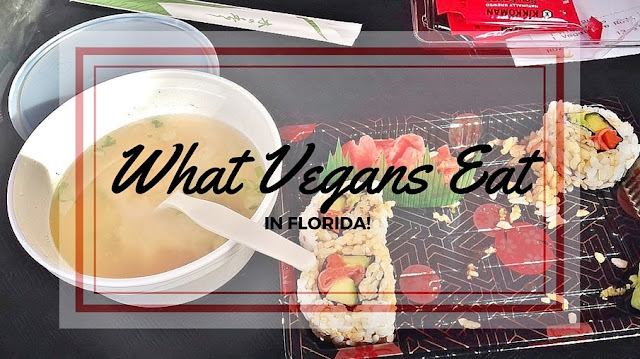 Three years ago eating vegetarian in Florida was a near impossible task, but this time round I ate better (and more) than my family, despite being vegan. I found an amazing blog that lists where vegans can eat in the Disney parks in Florida - there are even places that sell vegan ice cream! A lot of cheese-less pizza was consumed, as was lots of fruit. We all really missed our fresh vegetables though, on our last day we ate lunch at The Hard Rock Cafe and I just ordered a side of 'seasonal vegetables' which arrived as a big bowl of boiled broccoli and oh my stars - it was the best broccoli I've ever tasted! It was shared around as we all needed some real veggie goodness after nearly ten days of mostly fried food. 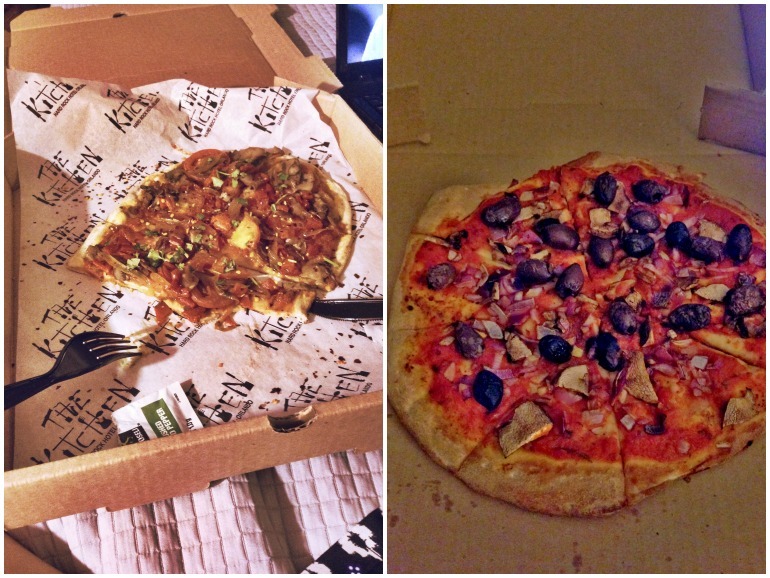 I told you I ate a lot of pizza... Pizza Planet at Disney Hollywood Studios actually do pizzas with VEGAN CHEESE!!! I was fecking thrilled! It was delicious, covered in yummy vegetables, and oh so filling! The Hard Rock Hotel where we stayed had restaurants and cafes, two of which you could get take away food from, namely pizza, or flat bread as the fancier restaurant called it. Most nights I had a pizza laden with vegetables and no cheese from one of these places. I got to know the guy at the bar in the restaurant called The Kitchen. I'm sure I would have found plenty of vegan food in various restaurants along City Walk of Universal, I really wanted to try one of the Mexican places. Alas, the fam were all ill! One of the mornings we had breakfast/brunch at the Three Broomsticks, and yes I know, wedges and corn on the cob looks boring, but there was more to choose from, this was what I fancied! Sometimes simpler food is the best. My sister had a huge plate of fruit, which would also be vegan, although obviously not the croissant that came with it. Corn was yum, chips were yum, yum all round. Yum. THIS was some of my fave food. Miso soup and vegetable sushi rolls. I found this in Japan. By that I mean mini-Japan in Disney Epcot, which is probs my fave of all the Disney parks. Different countries food, music, and entertainment all in one place! Again, I reckon I could have found more vegan food to eat here. I had breakfast everyday in The Kitchen at the hotel - a buffet of fresh fruit, cereals, toasts spreads, and various other non-vegan foods. The pineapple was divine. Disney have really upped their game with all the parks having places with vegan options, even vegan ice cream! The salted popcorn found in all the parks is vegan of course. Mythos, an incredible restaurant in Universal Island of Adventures, cooked up stir fried veg and rice noodles in a sweet and sour peanut sauce for me when I asked about vegan options. Its not at all difficult to be vegan in Florida! You just gotta be prepared.